Hire Canada assists individuals in finding new jobs, careers and information on new training programs. We host recruiting events which allow job/education seekers and recruiters to meet and network. Exhibitors and visitors who attend our events are from all sectors. We are proud to be a part of Canada’s employment and educational network! 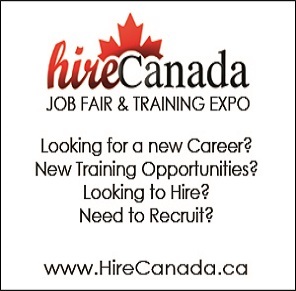 Hire Canada is a leading Job/Career Fair and Training Expo organization. We are dedicated to assisting organizations in recruiting for full-time, contract, summer, co-op, and part-time positions. We introduce qualified candidates to recruiters across Canada.